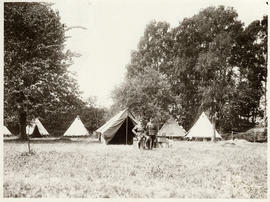 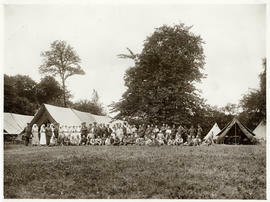 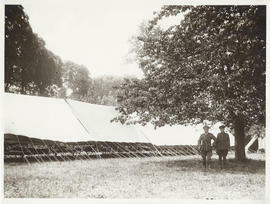 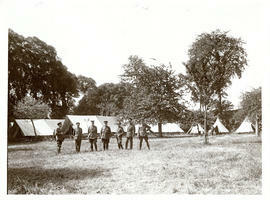 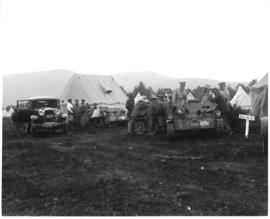 File is a photograph of Dr. John Stewart and group of military and hospital staff in front of field hospital tents. 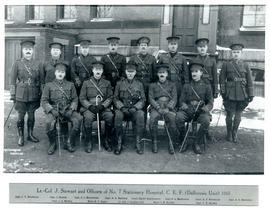 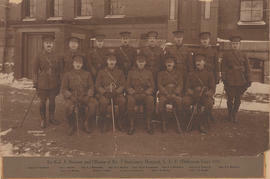 File is a photograph of Dr. John Stewart seated with officer to the right. 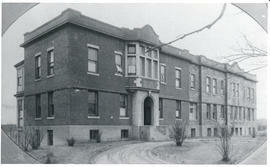 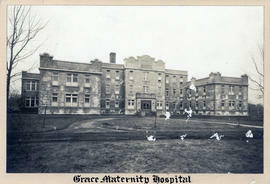 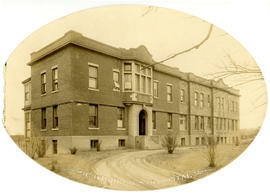 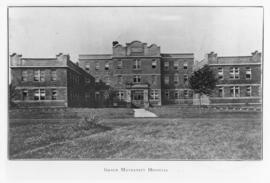 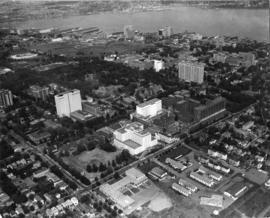 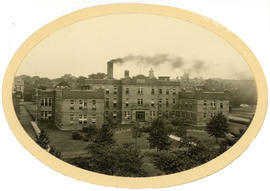 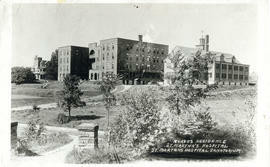 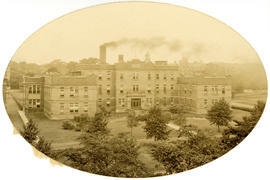 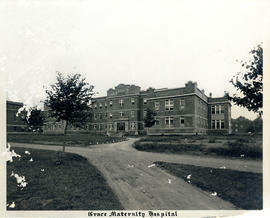 File is a photograph of the Halifax Infirmary. 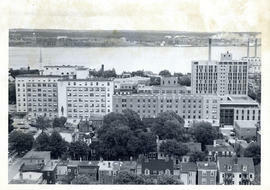 The view is from Park Victoria apartment building. 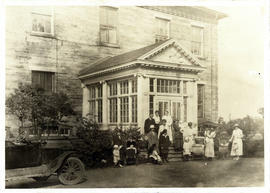 File is a photograph with legend below. 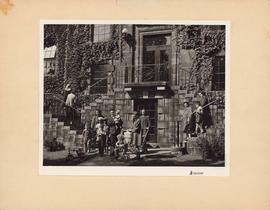 Legend reads: "Autumnal round-up of children at Health Centre No. 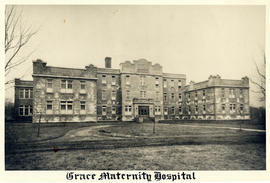 1 having tonsils and adenoids removed during the summer holiday. 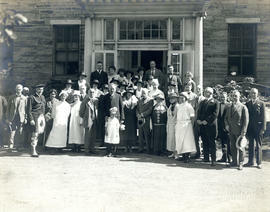 The group is taken at the entrance of the health centre." 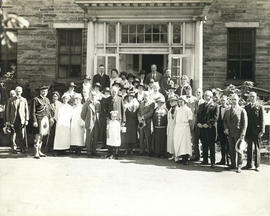 File is a photograph of group of people in front of building. 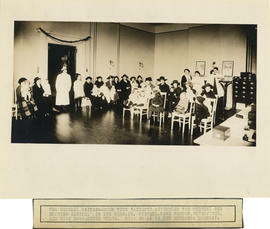 File is a photograph of group of people in front of Admiralty House. 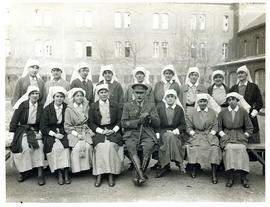 To the right of the picture is a man in uniform. 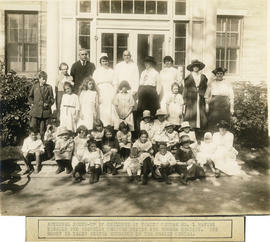 File is a photograph of 14 individuals standing in front of building including babies and carriages. 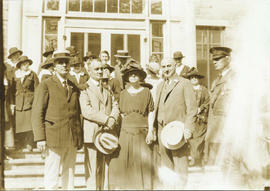 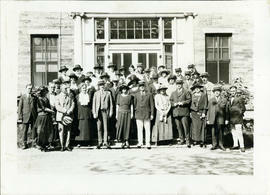 File is a photograph of group of individuals standing in front of building. 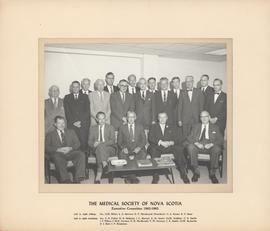 File is a photograph of the Medical Society of Nova Scotia Executive Committee in 1963.